Dr. Smolder Bravestone is an archeologist and a rugged adventurer in Jumanji. The movie narrates the story of four teenagers finding a vintage video game version and getting sucked into its jungle setting. Dr. Smolder Bravestone, portrayed by Dwayne Johnson, is Spencer's avatar. 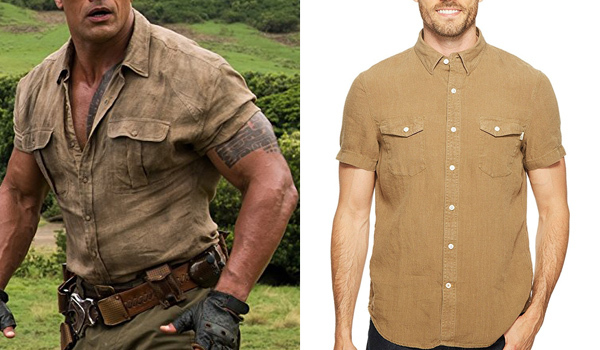 The shirt that Dwayne Johnson wears in Jumanji for his role as Dr Smolder Bravestone is a khaki linen short sleeve shirt. The Timberland Cargo Shirt is a close match. 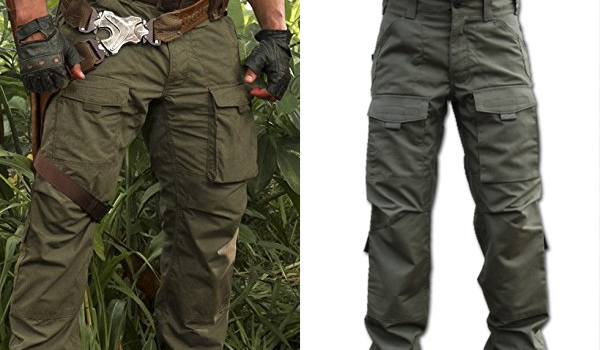 The pants that Dwayne Johnson wears in Jumanji for his role as Dr Smolder Bravestone are olive drab cargo pants with front pockets. They are Kitanica All Season Pants but are quite expensive, if you can't afford them Zapt makes a quality replica. 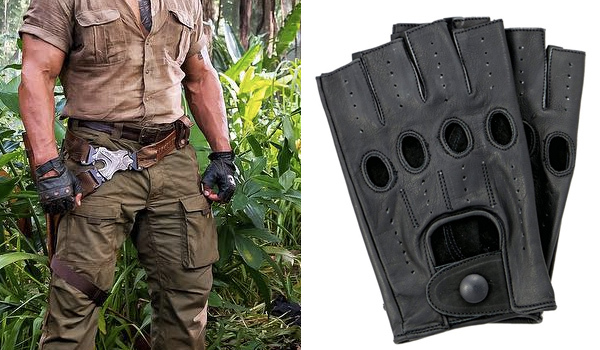 The gloves that Dwayne Johnson wears in Jumanji for his role as Dr Smolder Bravestone are black punctured driving gloves. 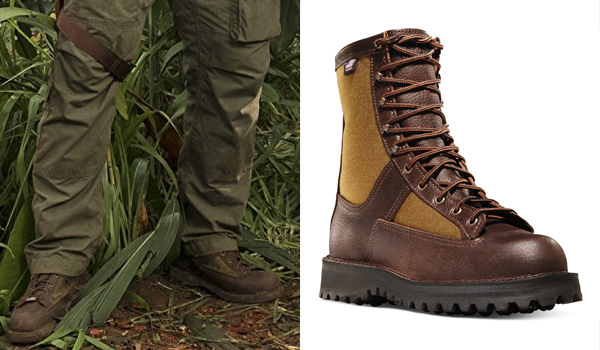 The shoes that Dwayne Johnson wears in Jumanji for his role as Dr Smolder Bravestone are brown working boots with a lighter / yellowy brown triangle on the side and one of the two boots has a metal piece on the laces. They are Danner Grouse 8" Boots.